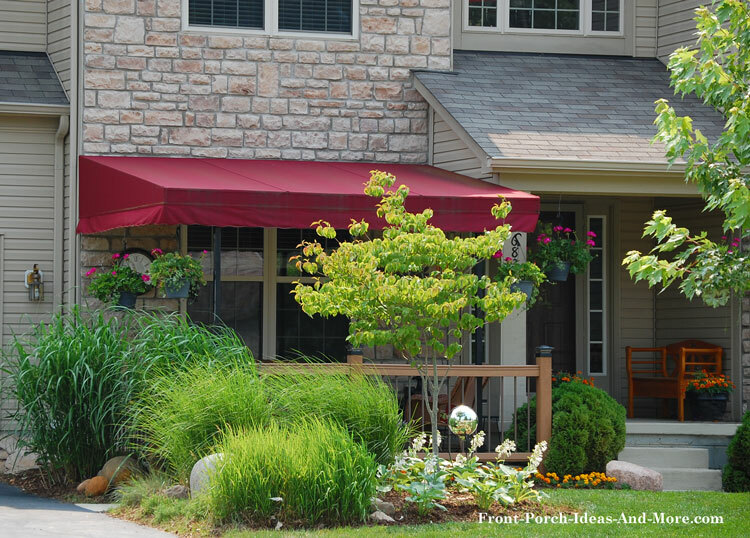 Considering porch awnings for your porch, deck, or patio? 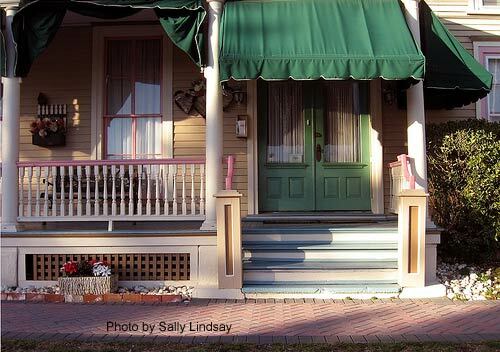 I remember the green awnings on our home where I grew up in Ohio. Awnings, also known as door or window canopies, keep out the weather, can potentially reduce your energy costs, protect your porch furniture from harmful rays, and can be designed to fit your porch's shape to add beauty to your home. Awnings are versatile and flexible; they can be fixed or retractable and you can even add beautiful outdoor curtains for added protection and privacy. 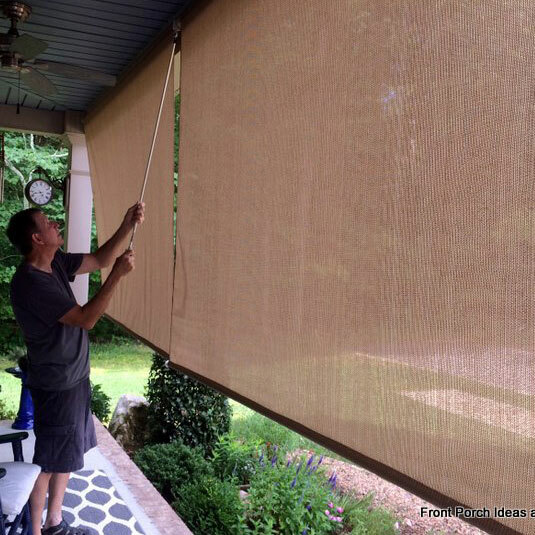 There's even an option to convert awnings into a screened porch! Patio and porch awnings are a great addition to any outdoor space because they not only offer protection from the weather, but also add beauty to your porch. 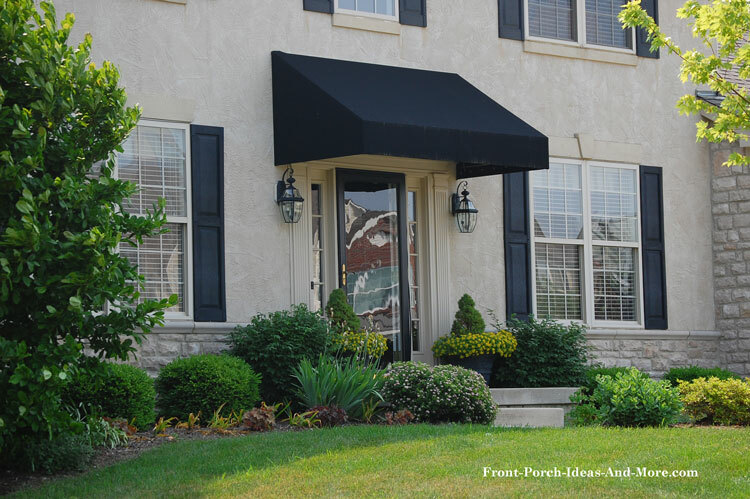 Porch awnings come in a variety of colors, styles, and materials. Porch and patio awnings can be either fixed or retractable and operated by hand or by an electric motor. Some have remotes to operate the awning from inside your home (convenient right?). Options include automatic wind sensors to close your awning during high winds, weather side and front panels, screen panels, and light kits. Fixed Awnings: Fixed or stationary awnings do not retract. They are normally less expensive than most retractable models but offer less flexibility. Retractable Awnings: Retractable models allow you lots of flexibility. You can open them easily (from inside your home with an optional remote) to take advantage of the sun in winter or shade in summer to help heat or cool your home. Manual Retractable Models: Manually operated porch awnings are less expensive than motorized models. Mechanisms are designed for easy use and awnings can be opened or closed in just under a minute most of the time. They require less maintenance and cost less to replace when required. Motorized Retractable Models: By far the most convenient, motorized models offer lots of flexibility. They are easily opened and closed - you don't have to go outside to it if you use a remote device. Canopy Awnings: A canopy awning is designed to cover a doorway to protect an individual from the weather. They also add immense curb appeal to small porches or porticos. Awning Conversion Kits: A few specific awnings allow you to easily attach screen panels to convert your awning into a screened porch. This is an ideal way to create additional space that could give you more outdoor fun. Conservatory Awnings: A conservatory awning is designed to control the amount of heat and light for conservatories. Caravan / Motor Home / Camper Porch Awnings: These awnings are designed to create porch space for your RV or camper. They are made from the same types of materials as porch awnings but the construction is somewhat different to accommodate the specific vehicle. Awnings are perfect over your front door for not only aesthetics but especially for protection from the sun and elements. Acrylic Fabric: Dyed acrylic fabrics are perhaps the best fabrics for awnings. They are made from 100 percent solution-dyed acrylic yarns whereby color is added during the manufacturing process. These fabrics resist fading and cracking from exposure to sun, chlorine, and rain or humidity. No other outdoor fabric material is more popular nor have the variety of colors and textures from which to choose. We found the cost is less than or equal to most vinyl or plastic awnings. Porch awnings are ideal not only for protecting you from harmful rays, but also protecting your outdoor furniture from fading so quickly. You can also find awnings to fit over almost any sized doors. 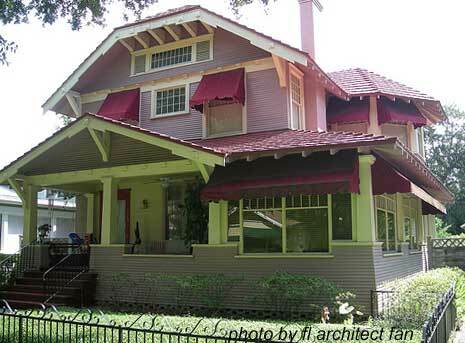 Recent studies indicate porch awnings reduce heat by almost 77 percent. In addition, during winter months, retractable awnings allow the sun's natural rays to penetrate your home's windows to help reduce heating bills. Aluminum awnings are probably the most popular type of awning for porches as they are low maintenance and can last for years. They come in a variety of colors and styles that resist fading or flaking - which translates to less fuss and more porch time. 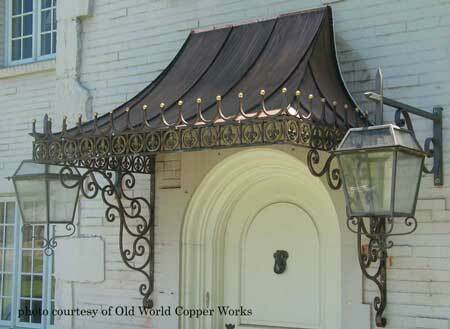 Although more expensive than other porch awnings, copper looks extra beautiful and will last a lifetime. Awnings in general serve several helpful functions: they protect you and your furniture from the elements, enhance the appearance of your home, and add curb appeal. And we like that they make your time on the porch more comfortable by blocking the sun from shining directly on you. Copper awnings serve these functions very well. 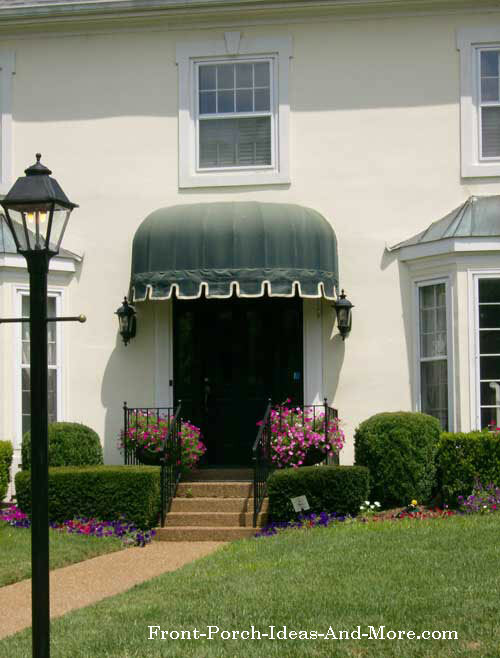 When selecting copper for your porch awnings consider your home's architectural style. Obviously, the larger the copper awning the more it will cost. Most copper awning pricing is based on fixtures that are four (4) feet wide by two (2) feet high (to accommodate standard size doors and windows). Dimensions greater than this usually require custom work and you will need to get a quote. Copper awnings do require more maintenance than other awnings if you want to maintain its original color. Copper develops patina, a protective layer when exposed to the weather. If you are not fond of this color you are in luck. Copper can be treated to maintain their characteristic look indefinitely and there are other actions you can take to keep its luster. A mixture of vinegar and water can be used as a homemade industrial cleaner. Purchase copper awning cleaning solutions at your local building supply store. Sanding the awning is an option but is not recommended for the obvious reason it will definitely scratch the copper. Taking preventive measures is best. Ensure your copper porch awning is always properly cleaned at weekly or bi-monthly as a minimum. Waxing the awning will also help prevent any erosion to the copper. 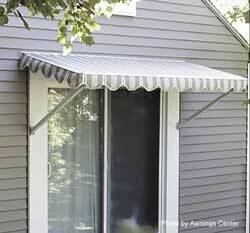 Another less expensive but popular metal-type awning you might want to consider is an aluminum porch awning. They come in a variety of colors, are virtually maintenance free, and will last a considerable time. Similar to aluminum in style and construction but metal they are stronger and more expensive. They are normally engineered to withstand heavy wind and snow loads making them very popular. Shown below is a standing seam metal awning with a copper appeal. Vinyl is usually placed over a polyester fabric, making it is easy to clean, strong, and moisture resistant. We had a vinyl cover for our screen porch kit addition and it served us well. Awning installation is fairly straightforward. If mounting under the eaves of your home, brackets will installed to tie directly to existing wall studs or headers. If mounting to your roof, brackets will be affixed to your roof rafters. Sometimes called lateral-arm supports, retractable awnings are designed as "self-supporting" and rely on both spring-load extensions and a very secure mounting system. Any canopy, because of their design, is susceptible to wind. Light winds (5 mph or less) should not be an issue; however, gusting winds can reach high speeds quickly and may cause damage. If you live in an area that has frequent high winds, I wouldn't recommend using an awning. However, there is a good option for most applications and that is a retractable porch awning. Retractable awnings should be closed during windy periods. Better yet, you can purchase a device for automatic retractable awnings that measure the wind and will close your awning if it detects winds over a certain speed. What will they think of next? Please remember these are do-it-yourself awning kits. However, you could hire a local contractor on your own to install the awning if you need installation assistance. You can use our handy find a local contractor form if you are in wanting assistance.